Join Now! Just print the form, fill it out, and mail it with your membership dues to the treasurer. The NOU is a 501(c)(3) private, non-profit corporation. If your employer provides matching dollars for your contributions, please contact the treasurer. Nebraska is the crossroads of North America, where birds of eastern, western, northern and southern distributions converge, and it is located along a major migration flyway. Within the state's boundaries are birds of eastern deciduous forest, Rocky Mountain pine forest, and of several distinctively different types of grasslands. Consequently, the birdlife of Nebraska is diverse. Over 400 species of birds have been reported in the state. Nebraska is large and sparsely populated. NOU brings together those who share a fascination with birds. As a member of NOU, you will become part of a statewide network of people like you. You will learn from others, and share information about when and where to find birds, how to identify difficult species, and more about bird habits and behavior. A founding principle of NOU was that anyone sincerely interested in birds can contribute to their study and preservation. No group in the state is better prepared to help the beginner gain knowledge about Nebraska's birdlife than are NOU members. 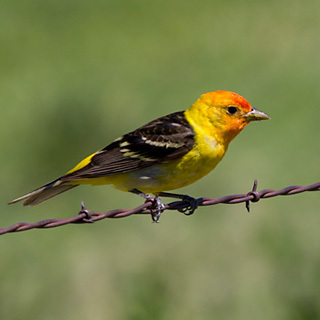 • Our quarterly journal, The Nebraska Bird Review, documenting the ornithology of Nebraska and including rare bird photos and regional avian highlights of the previous season. • Our quarterly newsletter, The Burrowing Owl, featuring NOU news updates, information about upcoming meetings, and more.